What causes a Blow-Out Fracture? An orbital fracture is typically caused when a fist or ball strikes the eye. It can also be due to a motor vehicle accident, where the eye strikes the dashboard of the car. Any other blunt trauma to the eye which increases the pressure inside the orbit can also cause this type of injury. What are the symptoms of a Blow-Out Fracture? Symptoms include bruising around the eye, protrusion of the eye and/or numbness of the cheek, upper lip and gum. Some patients may notice double vision. The double vision, if present, may be constant or only in certain eye positions (e.g. double vision apparent only when looking up). Dr Martin and his orthoptist will perform a complete eye examination to determine whether any further damage to the eye has been sustained. A CT scan will also be required to assess the extent of the fracture. What is the treatment for a Blow-Out Fracture? Based on the complete evaluation, Dr Martin may recommend surgical correction of the blow-out fracture. However, not all blow-out fractures have to be repaired surgically. 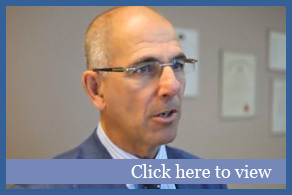 There are several factors which influence the indication and timing of surgery. hese include: the persistence of double vision, the presence of enophthalmos (i.e. the eye appears shrunken in the orbit as the swelling subsides), the involvement of eye muscles and the size of the fracture. With this type of condition early surgery is of great significance and patients must be seen within a few days after the injury for a higher surgical success rate. 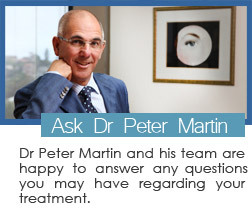 As each case is different, please ask Dr Martin what you should expect following surgery. Generally, some patients may experience post-operative discomfort, which can be relieved by analgesics. Bruising and swelling may be expected which will likely resolve within 2-3 weeks. The enophthalmos should improve after surgical correction of the blow-out fracture. The double vision and numbness of the cheek, upper lip and gum should improve with time as the swelling and bruising subside.